Monday's opening of the U.S. embassy in Jerusalem was juxtaposed by violence on the Gaza-Israel border. Israeli Defense Forces had warned any potential rioters not to breach the border. Yet, thousands of Palestinians approached anyway. As many note, this was not your typical protest. It was a premeditated assault. IDF forces confronted and killed over 50 of the rioters. That's the part you probably heard. A group of Democratic lawmakers chose to ignore the above context. 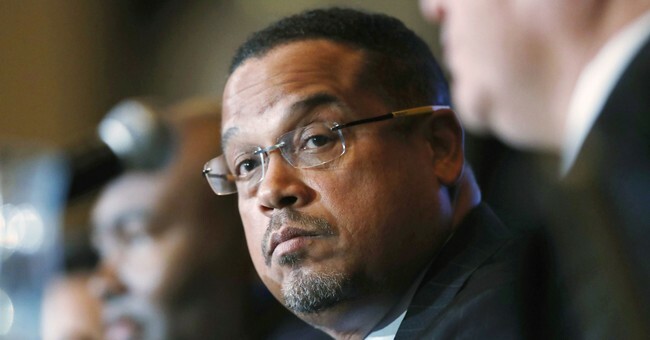 According to Reps. Keith Ellison (MN), Mark Pocan (WI), Pramila Jayapal (WA), Raul Grijalva (AZ), and Hank Johnson (GA), Israeli troops had unfairly fired on an innocent group of "mostly unarmed" protesters, who were clearly the victims. According to my calculations, even just a few firebombs can do plenty of damage. Other nations like France also rebuked Israel's actions, demanding the government show a little more "discretion and restraint with respect to the use of force." France also reiterated its disapproval of President Trump's decision to move the U.S. embassy in Israel. The White House stood by Israel and its right to defend itself Monday. "The responsibility for these tragic deaths rests squarely with Hamas," Deputy Press Secretary Raj Shah told reporters at Monday's briefing. "Hamas is intentionally and cynically provoking this response. And as the Secretary of State said, Israel has the right to defend itself."